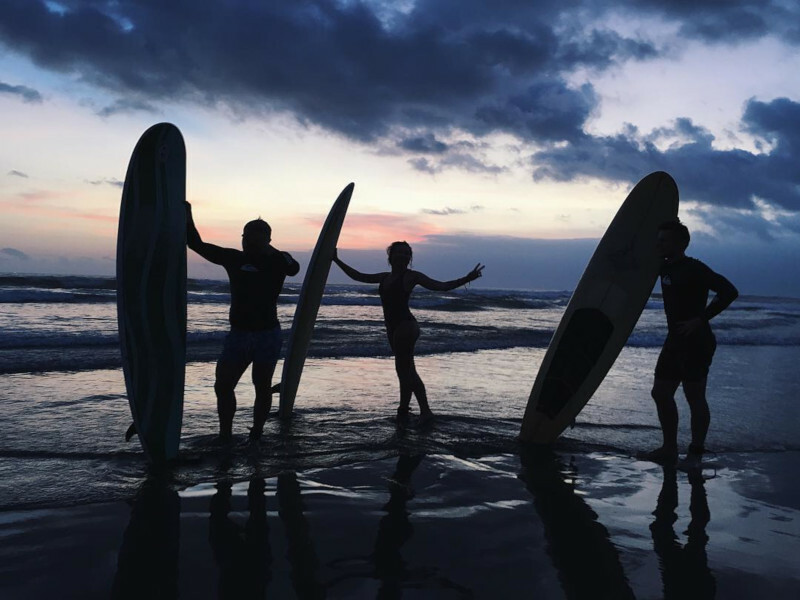 Dubbed “The Rainbow Nation” by former president, Nelson Mandela, South Africa is an absolute melting pot of extraordinary diversity. Luckily, many of the testimonies to this diversity can still be experienced today. This Heritage day, we urge you to take your pick of the many historic landmarks in South Africa and to learn more about your heritage. 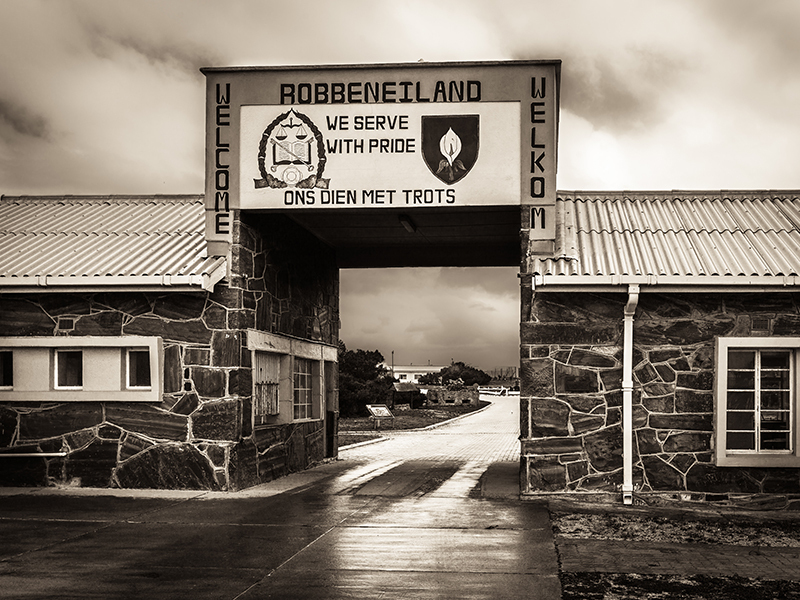 Perhaps the most iconic South African landmark, Robben Island is where former president and freedom fighting stalwart Nelson Rohihlahla Mandela, or Tata Madiba to locals, was imprisoned for 27 years after attempting to overthrow the then Apartheid government. 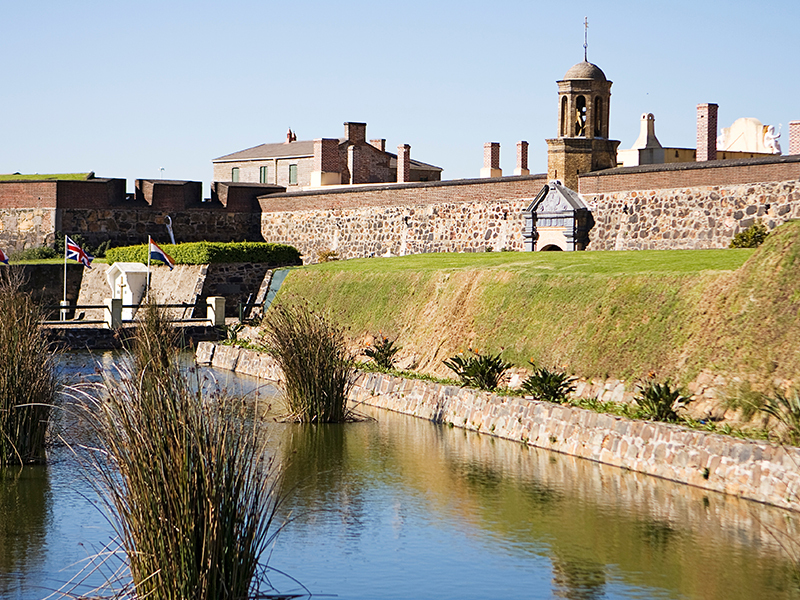 Hop aboard a ferry from the V&A Waterfront and go on a guided tour of the island prison turned museum. See where Tata Madiba slept, where he studied, and also where he worked in the infamous limestone quarry. Guided tours are offered every day at 9 AM, 11 AM and 1 PM respectively, and tours come at a cost of R360 for adults and R200 for children under the age of 18. Be on the look-out for when former inmates who served time with Tata Madiba drop in to engage with tourists. Nothing says heritage quite like a healthy dose of folklore. The legend goes that during the 1700s, prodigious pipe smoker Jan Van Hunks lived at the foot of Devil’s Peak in Cape Town. One night, after his wife had put him out of the house for his pipe smoking, Van Hunks met a mysterious stranger who also happened to be smoking. The two bragged about their smoking prowess and eventually challenged each other to a smoking contest. They climbed to the top of Devil’s Peak where the contest lasted 3 days with Van Hunks eventually being crowned pipe smoking victor. Upon their descent back down the mountain slopes, Van Hunks found himself surrounded by a dense cloud of smoke. The stranger revealed himself to be The Devil and they parted ways amicably. The cloud of smoke they generated can still be seen atop the mountain today and is better known as the tablecloth. 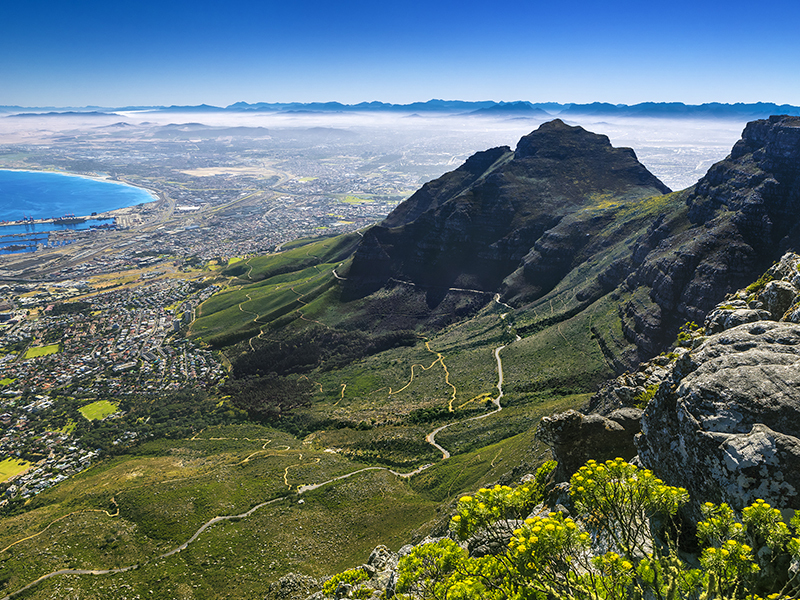 For the brave of heart wanting to take a closer look, Devil’s Peak is a favourite among hiking enthusiasts. Return to the origins of the human race by heading to Johannesburg. 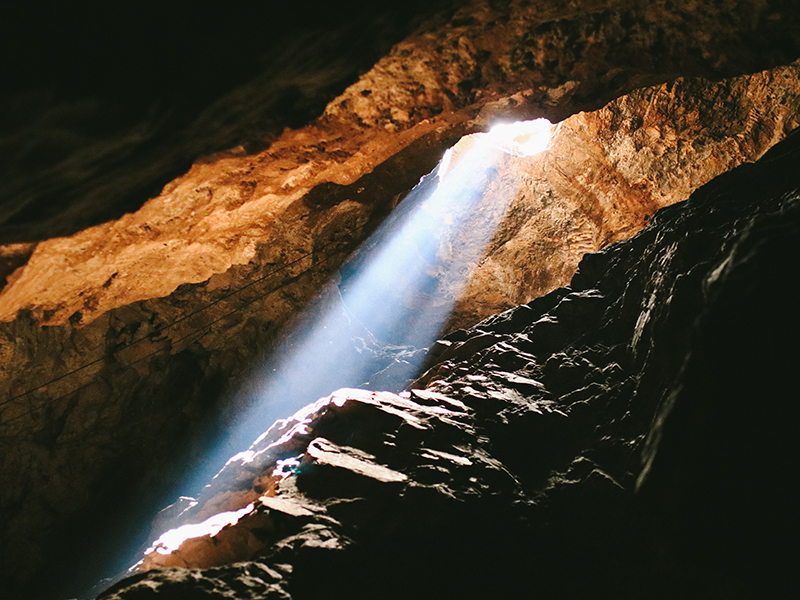 One of the 9 South African World Heritage Sites, The Cradle of Humankind is home to expertly preserved fossil-bearing caves which record human evolution spanning over the past 4 million years. 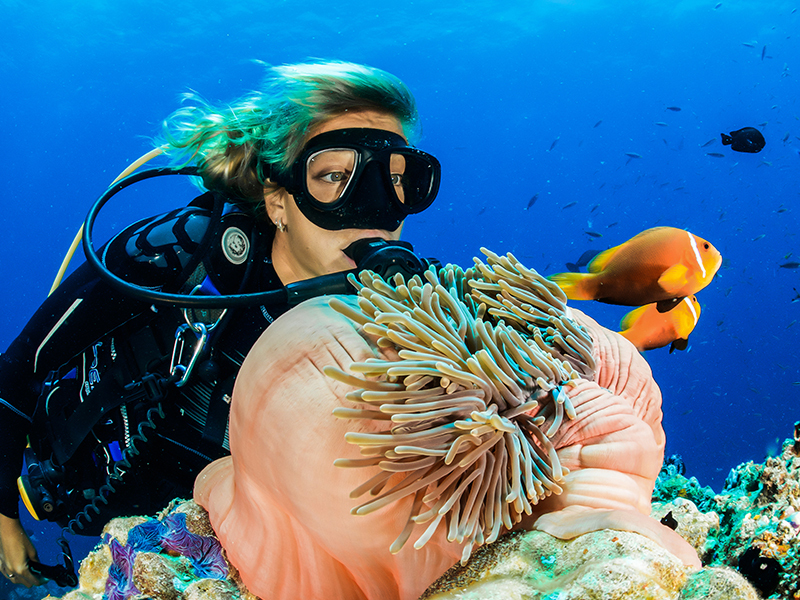 A whopping 40% of the world’s known human-ancestor fossils can be found here – talk about going back to your roots. Take a guided tour of the impressive site and see the previously undiscovered “Homo Naledi” species of humanoid. For those with a taste for Anthropology, famed Australopithecus africanus skull, Mrs Ples, can be viewed here. Mrs Ples is the most complete Australopithecus africanus fossil in the world. The Cradle of Humankind also offers an array of artefact exhibitions and research relating to human ancestry. Visit Maropeng, the Sterkfontein caves as well as the Wondercave. The admission fee comes in at just R160 for adults and R124 for children under the age of 18. Children under the age of 4 don’t pay a cent! Make a holiday of heading out to the beautiful Cederberg to see some indigenous rock art. 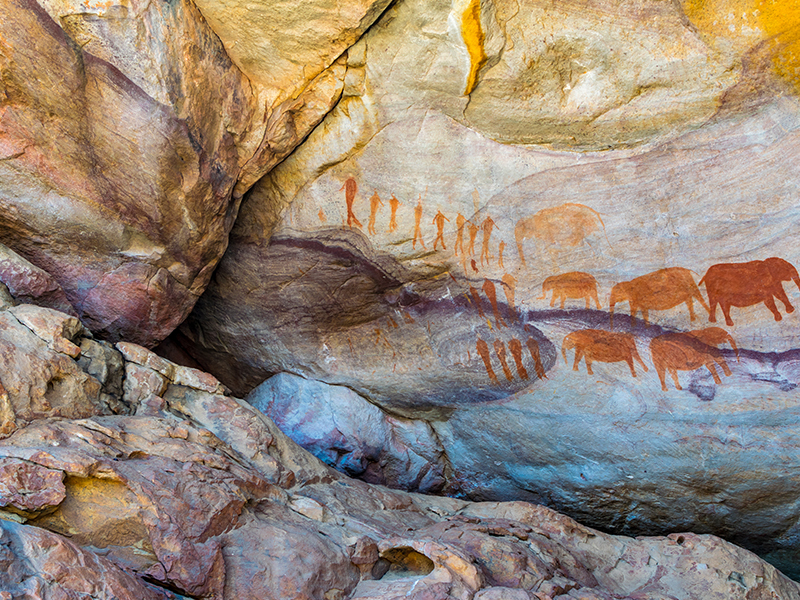 South Africa is regarded as having the richest collection of rock art in the world and, just 2 hours outside Cape Town, the Cederberg mountain caves offer travellers more than 2500 different Khoisan rock art sites to feast their eyes on. Put on your trainers and choose from the 4km Sevilla Rock Art Trail or a variety of day-long hikes to the Stadsaal, Truitjieskraal, Southern Arch and Varkkloof rock art sites which all form part of the Cedarberg conservancy. The Khoisan, are the indigenous peoples of Southern Africa and, in the Cederberg in particular, art spanning as far back as 8000 years can be viewed along the various art trails. During the late 1860s, bright-eyed little children discovered shiny stones on the banks of the Orange River. The little town of “New Rush”, or what is now known as Kimberley, was promptly inundated with men looking for a ticket to the big time in the form of a sizable chunk of the proverbial “girl’s best friend.”. 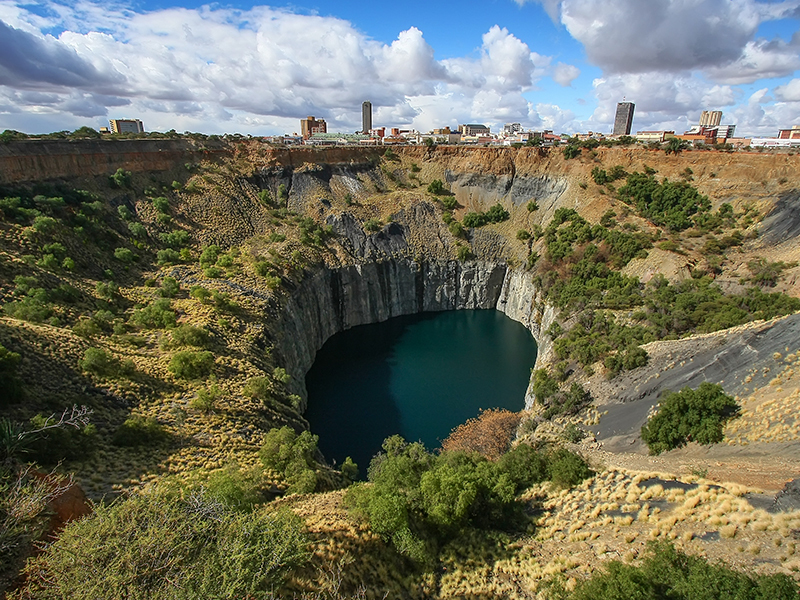 The discovery of diamonds led to huge excavations by more than 50,000 miners armed with picks and shovels and the digging of “The Big Hole” which yielded more than 13,600,000 carats of diamonds. The hole is 463 metres wide and 240 metres deep and has accumulated 40 metres of water in which the aftereffects of algae make it take on the colour of Jewels. Enjoy a view directly into the chasm from the steel platform above it before heading on over to the exhibition centre for everything from how diamonds are formed, to the history of Kimberley, diamonds as well as the hardships faced by those who scrambled for their share of their wealth in the 1800s. Wind down your stay with lunch in the Old Town, an extraordinary collection of preserved period buildings and artefacts, including a church that was built in Europe and shipped to Kimberly, an original De Beers railways coach, and an old style saloon. To date, South Africa is still the world’s largest exporter of diamonds. Completed in 1666, the castle is one of the oldest buildings in the country. It formed the strategic hub of all political and military activity and was home to Zacharias Wagenaer, successor to Jan Van Riebeek. Wagenaer was instructed to build a stone fortress amid rumours of war between Britain and The Netherlands during the 17th century, and thus began work on the pentagonal bastion fort. The castle was later also used as a prison where Fritz Joubert Duquesne, a South African spy for Germany was held captive. Fritz led a sabotage mission to revolt against British colonialists and was known as “Black Panther” due to his escape from various prisons before he eventually made his way to America where he became a citizen. Wakanda trip would you have without seeing one of the best examples of 17th century Dutch East India architecture in the world? 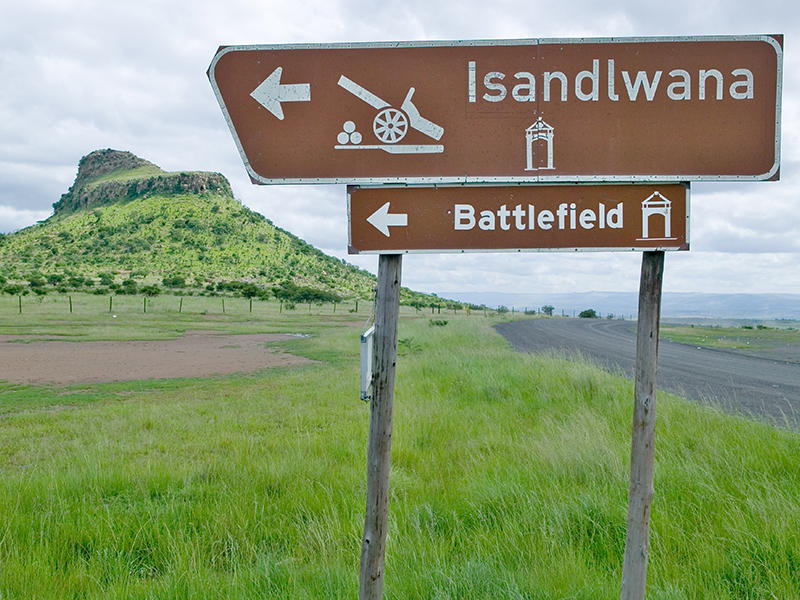 The Isandlwana battlefield is an isolated hill in Kwazulu Natal, 3 hours outside of Durban. On 22 January 1879, 20,000 Zulu warriors, armed with assegai, took to the fields of Isandlwana under the command of Zulu King Cetshwayo where they defeated a British camp and overthrew the first British invasion of Zululand. While it did not end the British invasion, the battle of Isandlwana was one of the worst losses suffered by the British and marks a major victory in the history of the Zulu nation. The battle site has been preserved with piles of white rock marking where British soldiers were buried along the hill slopes, as well as other monuments at the base. The site is open for public viewing from 9 AM to 5 PM daily. 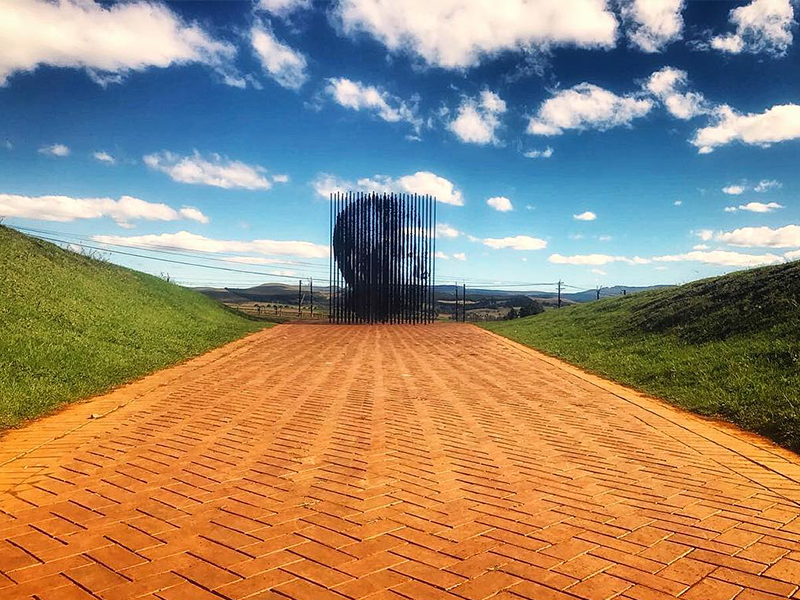 Before leaving lovely KZN, be sure to make your way to the Nelson Mandela Capture Site where Tata Madiba was arrested for his anti-apartheid activism in 1952, and then tried during the infamous Rivonia Trial in 1963. Tata Madiba had been travelling in disguise and was on the R103 road between Durban and Johannesburg when he was apprehended after having successfully evaded capture for 17 months. His incarceration marked one of the most significant moments in South African history, with his subsequent trial at Rivonia being heralded as the trial that changed the country. His speech during the trial saw him call Apartheid laws draconian and significantly changed the political and social landscape of South Africa, beginning the ascent to the freedom of people of colour. The site has been turned into a national landmark and memorial where tourists can reflect on how far South Africa has come since the dark days of Apartheid. 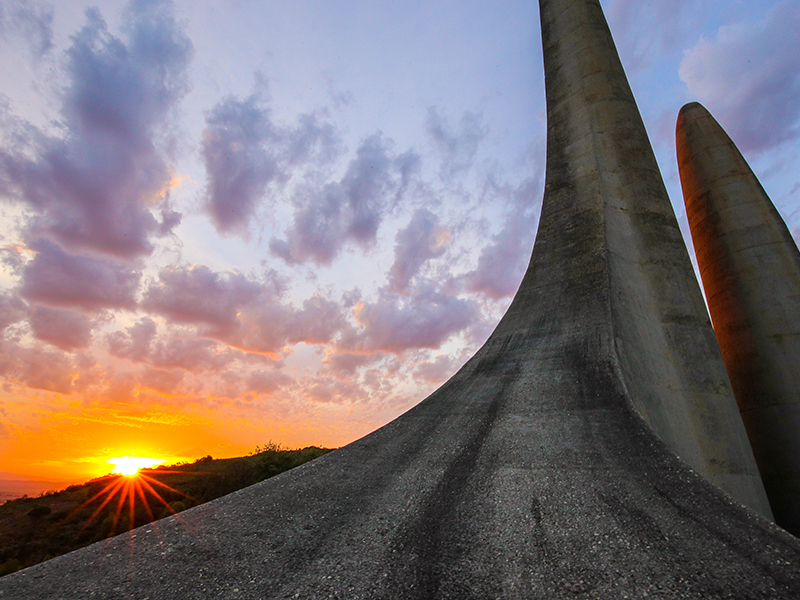 Nestled in the rolling hills of Paarl in Western Cape, The Afrikaans Language Monument was erected in October 1975 to celebrate Afrikaans being declared an official language, separate to Dutch, and more importantly, as a South African language. The monument celebrates Afrikaans identity and consists of various convex and concave structures which represent the European heritage of the language, the African influences on the language, the bridge between Europe and Africa, as well as Malay language and culture. The monument offers panoramic views of Paarl and makes for a nice heritage fix when coupled with wine tasting or farm style dining. 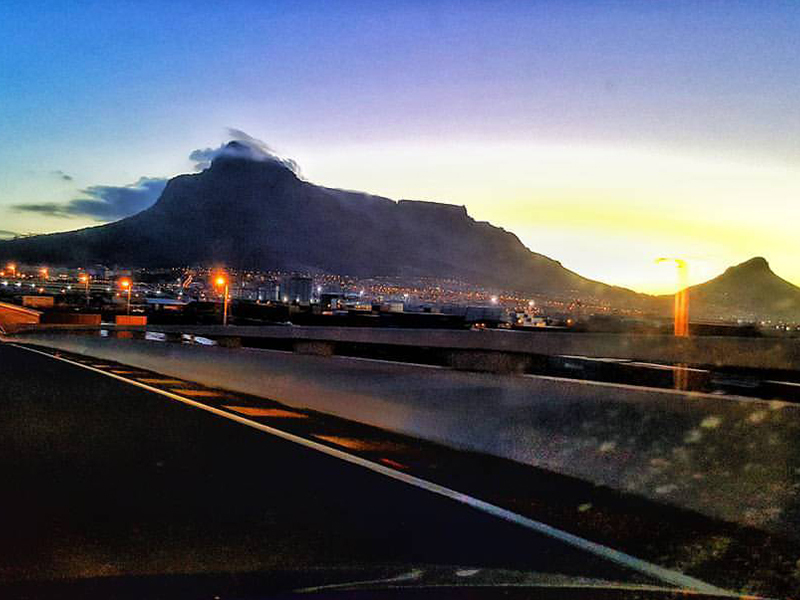 Table Mountain is more than 260 million years old and has welcomed seafarers and tourists alike to Cape Town for time immemorial. Millennia before South Africa was colonised, the Khoisan, who lived and hunted on its slopes, called it Hoerikwagga which translates to “Mountain in the sea”. The Khoi worshipped the mountain as sacred and believed that their God, Tsui/Goab, roamed there. More affectionately known as the mother of Cape Town, Table Mountain offers tourists idyllic views of the city and a unique tabletop experience. Board the cable car for a scenic ride to the top of the mountain and explore parts of the Table Mountain National Park, or brave one of the many hiking trails to take in the fauna and flora before settling down to lunch in the clouds. Cable car rides are subject to weather conditions, and prices may vary according to whether or not you choose to visit during the day, or in the evening. South Africa is home to some of the world’s most ancient fossils and, as such, some of the world’s oldest peoples. 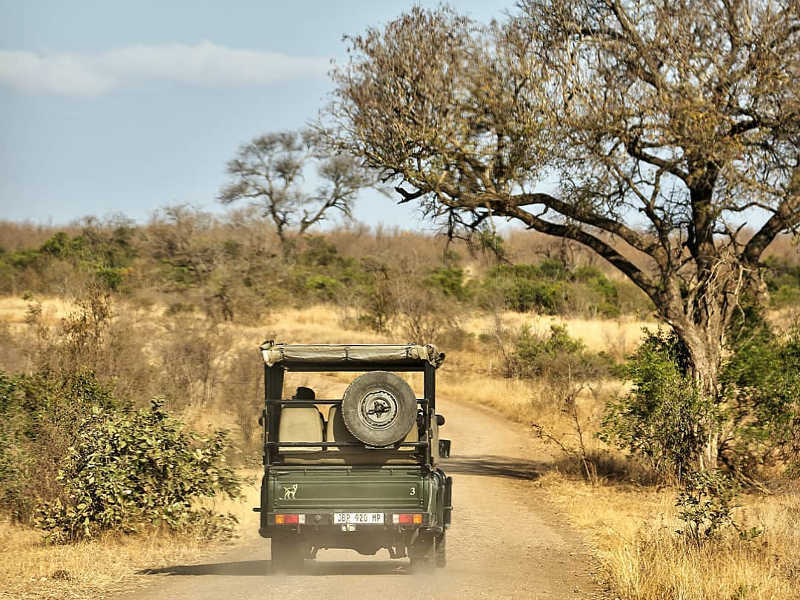 When you consider the rich political, cultural and religious history of South Africa, It comes as no surprise that so many iconic landmarks can be found within this picturesque peninsula. 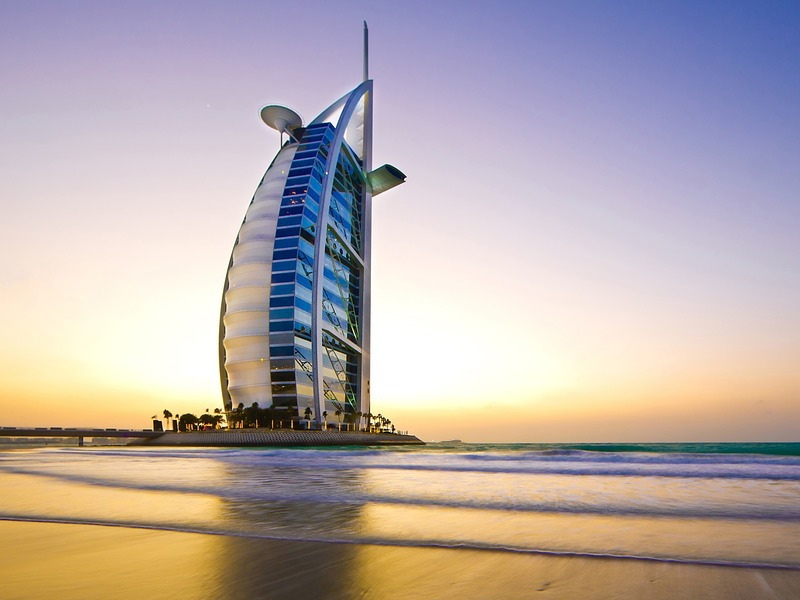 Are you planning a heritage trip this year? We’re here to put our best flight forward. Choose from a variety of cheap flight options and let us know about your heritage month experience in the comments! I think everything except item 8 is significant for SA history…as a New Zealander and seeing what we protested for against apartheid what the ANC have done is not what the world wanted therefore item 7 is not a place in history tourists can agree with, with all the killings, death the ANC have caused, farmers killed and the ability to run an honest government. I don’t see what was fight for…i see corruption and violence, bad governments, hate and bigotry.